KiwiRail is sticking by its decision to purchase 15 new diesel locomotives despite a Government call not to scrap its North Island electric rail fleet. The diesel locomotives were acquired in October and are currently based at KiwiRail's Te Rapa depot in Hamilton. 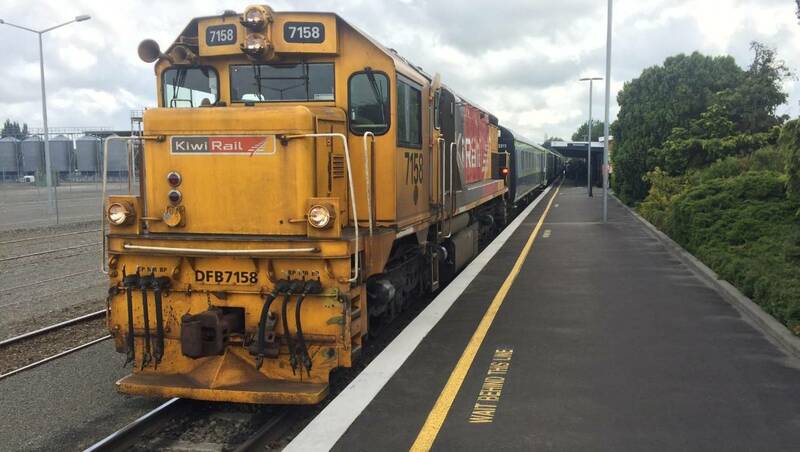 KiwiRail have refused to detail how much the new diesel locomotives cost taxpayers but confirmed the trains will be used throughout the North Island. Fifteen new diesel locomotives purchased by KiwiRail are currently based at the Te Rapa depot in Hamilton. The new acquisition comes as the Government announced it will keep the electric trains running on the North Island Main Trunk Line - reversing a call by KiwiRail in 2016 to ditch the electric rail fleet. Fifteen electric trains and the control system will be refurbished at a cost of $35 million over four years. The trains operate between Palmerston North and Hamilton. In a statement, Deputy Prime Minister Winston Peters said replacing electric trains with diesel would have been a step backwards. Acting Associate Transport Minister James Shaw said investing in electric transport is essential if New Zealand is to meet the challenge of climate change. The Government is investigating options for further electrification of the rail network, Shaw said. Refurbishing the electric trains is expected to extend their useful life by 10 years. KiwiRail rolling stock asset services general manager Adam Williams said the call to buy 15 new diesel trains was made before the 2016 decision on electrification, and was made independently of it. The diesel locomotives are undergoing commissioning work and will be introduced to the KiwiRail fleet over the next nine months. "The purchase is part of a wider investment programme to recognise the growing role rail plays in the New Zealand freight task," Williams said. "It is also a recognition that currently only a small part of the total rail network in New Zealand is electrified. "Replacing them with electric locomotives would require Government investment in electrifying a much greater part of the network." KiwiRail's rolling stock fleet has an average age of 35 years and the South Island fleet has an average age of 46 years. The expected useful life of a locomotive is about 30 years. The new diesel trains will allow a cascade of other locomotives to replace the oldest South Island trains.